Demo kit is a full-fledged control panel. After testing reset the device to factory settings and install it at the site. Important. Demo kits are designed to study our equipment and cloud services. 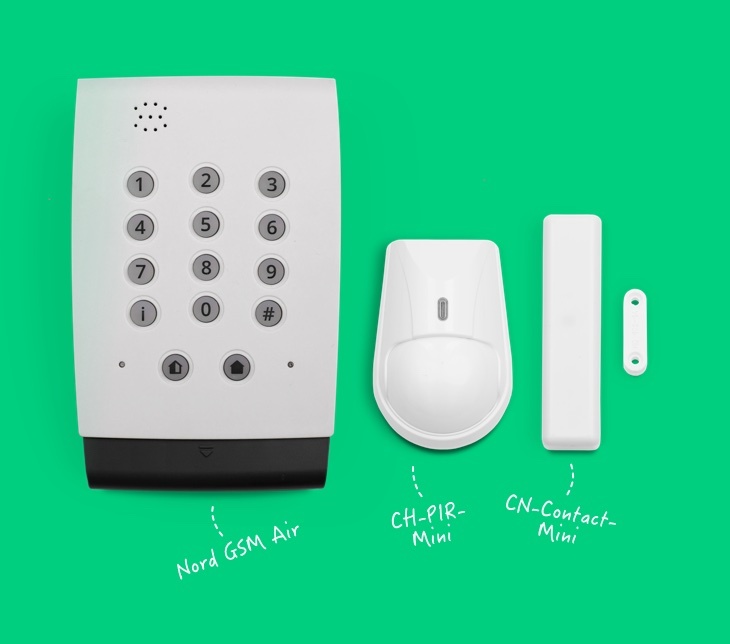 Therefore, we sell only one set of Nord GSM / Nord GSM WRL / Air / Mini to one company. Control panel Nord Air and two wireless sensors: CN-PIR-Mini and CN-Contact-Mini. 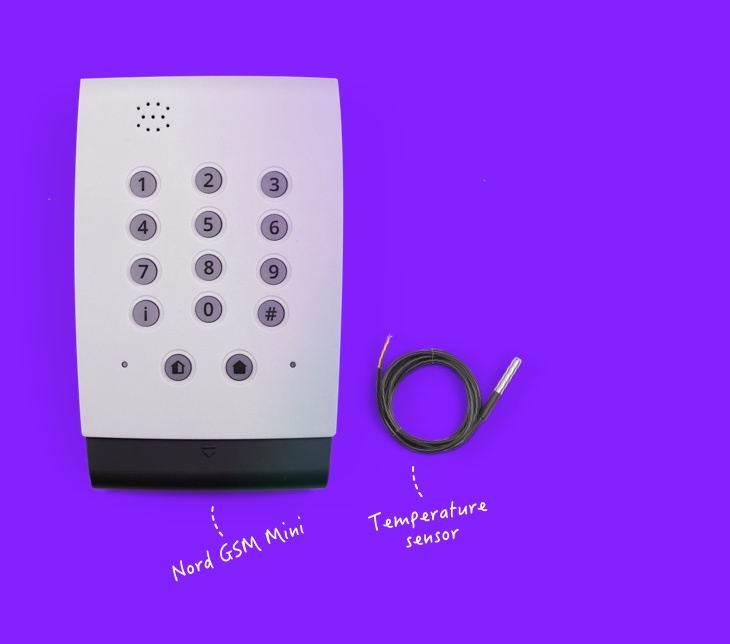 Control panel Nord Mini and remote wired temperature sensor. 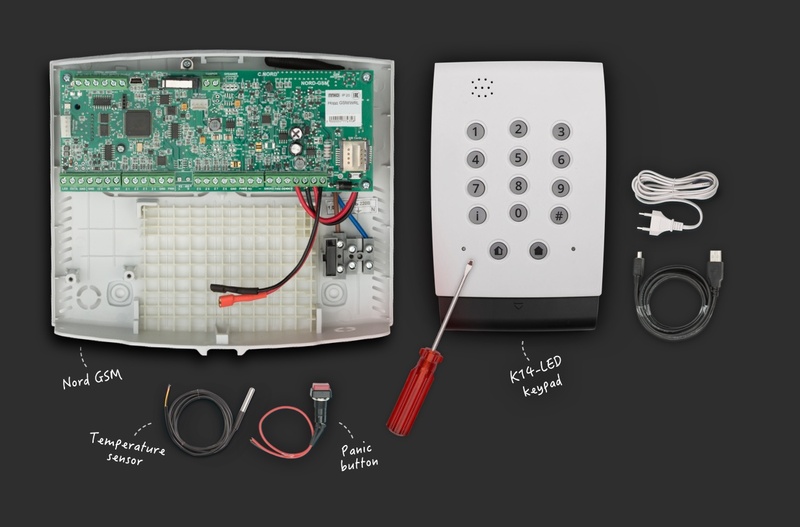 Control Panel Nord GSM in a plastic housing, wired devices: K14-LED keypad, panic button and remote temperature sensor; USB cable, power supply cable and screwdriver. 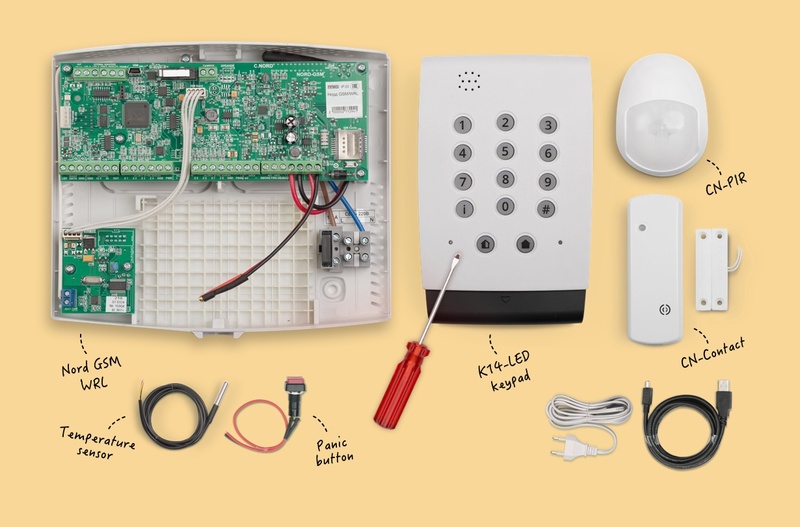 Control panel Nord GSM in a plastic housing with expander for 31 wireless devices CN-WRL, wireless keypad CN-K and wireless sensors CN-PIR and CN-Contact; wired panic button and remote temperature sensor; USB-cable, power supply cable and screwdriver.